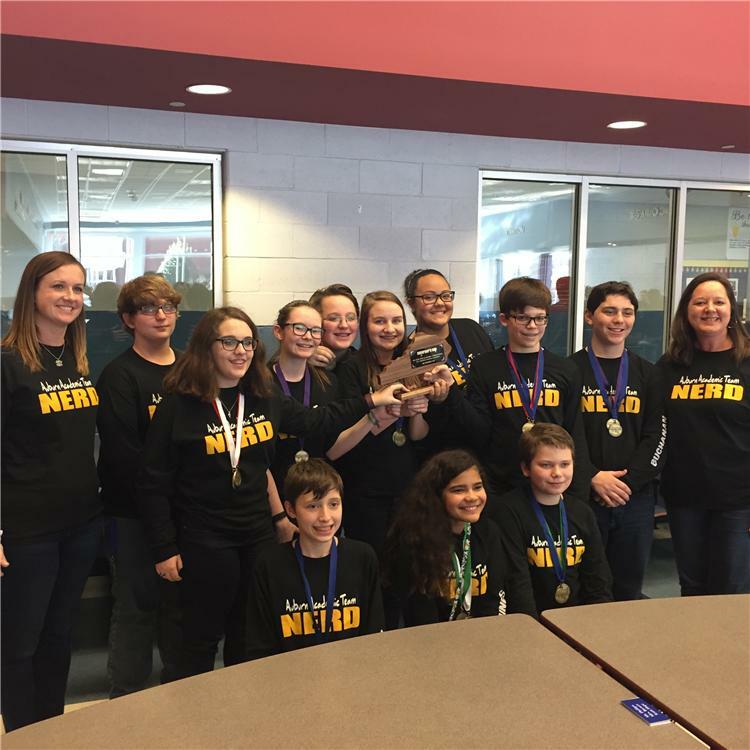 The Auburn Middle School Academic Team on earned multiple wins Saturday at the District Governor's Cup in Franklin against Adairville Middle School, South Warren Middle School, and Franklin-Simpson Middle School. Quick Recall Tournament: 1st place, after an undefeated sweep in the double-elimination tournament! The Quick Recall Team and all individual students who placed advance to Regional District Governor's Cup competition on Feb 4 at Olmstead School. The academic team is coached by Mrs. Lara Bills and Mrs. Shannon Wethington. Team members include Clacy White, Laren Hines, Jacob Jackson, Austin Haley, Kellie Proctor, Hope Cassetty, Calloway Bills, Lindsey Brinkley, Brianna Brooks, Henry Ham, and Jesse Buchanon.